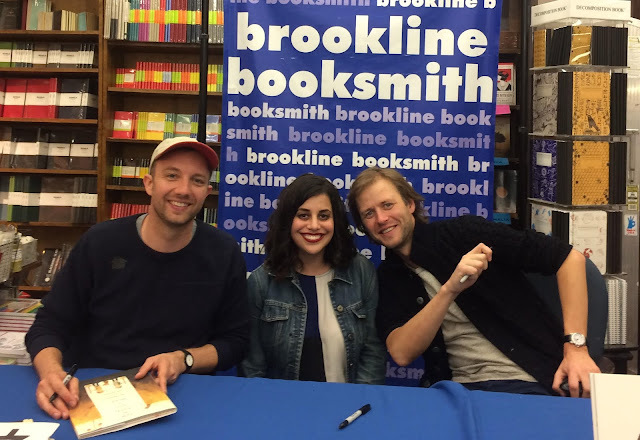 So I had just about the coolest experience a few weeks ago when I interviewed Mac Barnett and Jon Klassen in person at the Brookline Booksmith in Boston, MA. We talked about all sorts of things (including how easy it is for Mac to forget Jon is even there! ), but mostly we talked about their newest collaboration Triangle. Let's dive right in! Let's talk Jon Klassen and Mac Barnett! LTPB: Let’s start by talking about Triangle, since that’s why we’re here! Where did this idea come from? MB: There were characters and a place where they lived before there were stories about them. And in that way they were drawings first. JK: Yeah, I think I started drawing them with an interest in that they would be different just by definition but not that they would imply any good or evil necessarily. You wouldn’t know who to root for just by looking at them if they were against each other. And there were all sorts of puns you could sort of get into and different design opportunities. Triangle would live in a triangle house, and right away that seems kind of mystical. It looks like a pyramid or something, and so he might kind of look like he’s a little bit more mysterious. And Square might live in a square house that might have square battlements or something like that, and that would imply his more militant nature. You can follow these little associations down their little tunnels and then just find stories and personality bits with them. So that was the initial thing, that we thought of these guys who look pretty blank but obviously different and try to follow their qualities personality-wise just from the fact that they are circles, squares, and triangles, and find out where that might lead. LTPB: So did you know it was going to be a series when you set out? JK: I think, so, yeah. JK: Yeah, because we got to introduce a bunch of stuff about them in a very “concept-y” way, but without making it too cold of a book. There’s still a friendship. LTPB: Was it a conscious decision to make it a board book series? JK: Kind of. The initial design of the book was meant to be hard corners on all sides. I liked the idea of it just feeling like a big block. But they got rounded off, and I think it was a good choice because it sort of also goes with how young these books feel. It softens them. And I don’t want it to be more of a design book than a children’s book, which is what it is! MB: Exactly, and the pages are normal. The covers are the only boards. And some of that just has to do with our feelings about jackets generally. They’ll be the first thing that kids tear off. 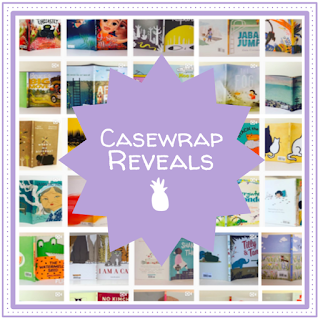 LTPB: I think I’m the only person in the world who still loves book jackets! MB: I love them, but I don’t love them as an automatic thing. I don’t like any choice as an automatic thing, you know? It seems like one of those things to think about, and this seemed like a good opportunity. Jon and I had been talking about jacket-less books for a while, and this seemed like a good opportunity to sort of see what that would look like. JK: And I think it somehow loosens you up in a weird way. A jacket is a very formal thing on a book, so it makes it into this kind of revered piece that might intimidate someone making one, like it might stiffen you up. I think that, to a certain extent, the format of these books being not cheaper, but having that feeling of being mass produced because of the lack of a jacket – they feel chopped, like they were cut in a factory that was dividing them all up at once. MB: That’s how you picture a book being made anyway, right? Whether you’re a kid or twenty years old [laughs]. JK: [laughs] Yeah! But it did loosen us up with the making of it. I feel like the story isn’t as overwrought, you know what I mean? MB: We talk about these stories and characters as being elemental, and we wanted to reduce everything down to the “elements”: the characters down to their elements, the story down to its elements, and then the book-making down to its elements. To their elemental ideas. LTPB: Where will you be taking readers with the next two books in the series, Square and Circle? LTPB: Is it going to be shaped like a triangle? JK: [laughs] I thought about that! But then I was like, no, they all have to be the same shape. But the interesting thing with Square was that we were the least excited about it to begin with because he’s kind of a square guy. He seems like kind of a boring guy to hang out with for 32 pages. But it turns out that that kind of “squared-offness” leant itself to a more insecure character, and it was more interesting to write about. MB: It was inconceivable to us when we started out that the second book would not have Triangle in it. It was Square and Circle. So Square ends this book. LTPB: And he holds his own! MB: Yeah! Or he tries to. He ends this book in a crisis. The second book he has maybe an even worse crisis. He has a hits-rock-bottom crisis. LTPB: Well now I’m just as nervous as I am excited to see what happens to him. MB: Well that’s kind of the fun thing about this book, that we want to push these characters to their limits. 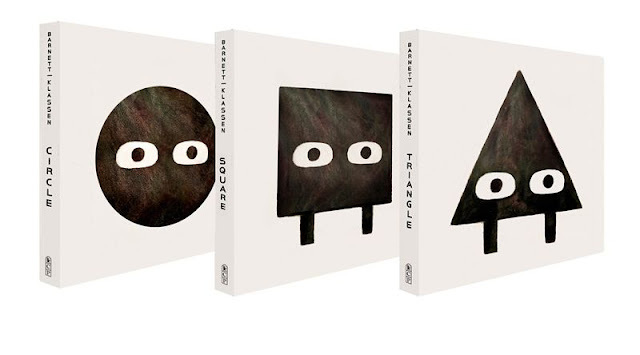 Both Square and Triangle confront their biggest fears in this book and end up in sort of desperate straits. JK: I’ll say this, too. The other interesting thing about coming up with it as a place and characters rather than a story in the first place lowers the ultimate stakes of it somehow. I think that if you came up with a story that there’s a risk of people getting hurt and dying or something – the stakes seem high. But if you have the idea that this place is always functioning and turn that over, that these guys are just perpetually living in your head, you’re never going to treat them badly. No matter what happens today, they’re always just going to meet up for breakfast tomorrow morning. That mood felt right for children’s books I think. MB: Especially for this. Where there were characters that we wanted to exist outside of these books that kids felt was a safe place ultimately. This is a place where things are happening, and here are some stories about these characters but we could imagine more stories happening with these characters. Which isn’t always something that I’m necessarily interested in. JK: I’m not, either. Not in a picture book. MB: But this one was about people in a place – or shapes in a place! – and so we wanted that sense that these were some stories. LTPB: This is your third book together, so how did your process for Triangle compare to how you made your other two books Extra Yarn and Sam and Dave Dig a Hole? MB: Extra Yarn was the closest to the way that it’s officially supposed to go, where I write a text and send it to Jon, but that was based on an image that Jon had created in college, so there was lots of back and forth. Even in its genesis it starts over on Jon’s side, and then I wrote a story. Jon and I were talking throughout that process, but really, once I was done, it was with Jon. Sam and Dave was a very close collaboration. We came up with the idea together over breakfast, and then I went off and wrote the text. MB: [laughs] Actually it was because of This Is Not My Hat. There was talk about how it was an awkward trim size because it’s very wide, and so stores might be having a tough time with it on the shelves. So we thought, “Let’s make a taller book! What stories suit a taller book?" LTPB: I was thinking that, about how all three of your collaborations are different trim sizes. MB: Yeah, and I think all three of our books are different stories. They get at different things, and we don’t want to do anything by default. JK: You want to base your decisions on the initial idea. Like there was talk of making the trim size of the next book we’re doing after these the same trim size as Sam and Dave Dig a Hole so that they can be put together, but it didn’t suit it. And I think that’s the interesting thing about the collaboration, is that the constant is us sort of following our noses inside the thing very locally. I know some people have the idea that all the books kind of fit together in some universe, but that’s not the case in these books. They don’t fit together at all. And I don’t think they sound the same. They might look the same because I drew them, but I think if you picked up Triangle, Extra Yarn and Sam and Dave and erased the names and knew nothing about these books, I don’t think you’d think they were made by the same people. We wanted to completely localize the decision on making the book design side, too, to follow the rules of this particular place. And that’s why it’s so much fun to reset it every time, because everything has its own suggestions and its own implications. MB: Triangle feels very close in terms of how it was made. I mean, it’s really hard to draw a dividing line and think of a time when we weren’t working on this together. JK: Yeah, there wasn’t a lot of going off on our own and making decisions about the other. 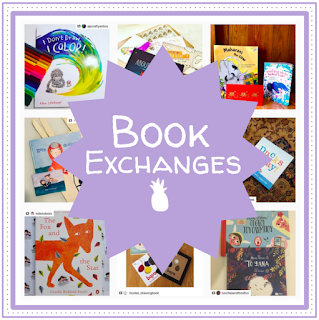 LTPB: Okay, so let’s talk about how you actually work together to create these books. MB: We spend a lot of time on the phone. MB: Originally it was a lot of Gchat and audio connections, but now we just call each other. But Jon has terrible cell reception. JK: Yeah… I have a studio space in, like, the nether regions. MB: Jon has a studio at home, and I work from home, and we were pseudo studio mates. Like we would get on the phone and talk about stuff, but settle into working, too. And there would definitely be times when we’d both start typing, and I’d realize, oh, Jon is still in here! MB: [laughs] Waiting to ask his own question. But we’ll be talking to each other and sending things back and forth. Whether that’s pictures Jon’s working on, or text. And sometimes I’ll revise the text right then and send it over to Jon. But then other times it’s just completely pointless links. JK: The dynamic, too, is that Mac has been at this longer than I have, and he’s definitely a much more comfortable writer than I am. And so I’ll be sitting there addressing some writing problem that I’m trying to figure out, and I’ll ask him a lot of questions about what I should do -- how I should approach this problem -- and eventually it won’t even be about that problem anymore. We’re just talking theory, and that will lead to ideas for other books, and then I’ll have forgotten all about my own problem because we’re starting another book! MB: Yeah! There’s a moment that will happen where the conversation tilts or switches, but we realize, “Oh, there’s something here,” and we chase it down a little bit. And that moment is surrounded by hours and weeks of links! JK: Just links to things [laughs]. LTPB: Which begs the question, how do you decide that this is a book you want to work on together? JK: Some of it comes about pretty organically, like this one. It was always just us talking about it, the two of us. And also I think that you realize, very selfishly, what you’re going to get out of the other one. Like if I had done this book by myself, I think it would have been very cold and more of a “concept-y” book without as much heart. LTPB: A little bit meaner? JK: Maybe meaner, but, like, just guys walking around. I would have been subverting it, or something. Mac came in and gave these guys CPR, and all of a sudden they’re walking around and talking and breathing on their own. They’re totally themselves. And you do that for very selfish reasons, too. This isn’t going to be a good book unless we do it together. MB: In the same way, I was telling him that I don’t think I would write this text – even if I wanted to get at similar things – I wouldn’t have written the text this way unless I knew that those words were landing in Jon’s visual universe. LTPB: Ooh, I love that term, visual universe. MB: Yeah! I think there’s something fun about saying, “Well I can’t draw at all.” So I get to work with different illustrators, and every illustrator has a different visual universe. Jon’s visual universe is different from Christian Robinson’s visual universe, which is different from Jen Corace’s visual universe. And there are different characters who live in those universes. Physics works differently in those places, and you have to be sort of conscious of how, even if you don’t know who you’re writing for, you know the visual style and mood that is going to be there. Because that’s going to be doing at least half – and often more fifty percent – of the storytelling in a picture book. I’m creating a structure, an unfinished thing, and typically with a picture book, if I’m coming up with it myself and don’t know who is illustrating it, the genesis of the idea is there, an architecture that hopefully supports and provides opportunities to an illustrator who’s there. But I’m finishing an unfinished thing and handing it over. MB: Yeah, but it’s really exciting, too! It's a lesson in giving up control and sort of trusting the process. 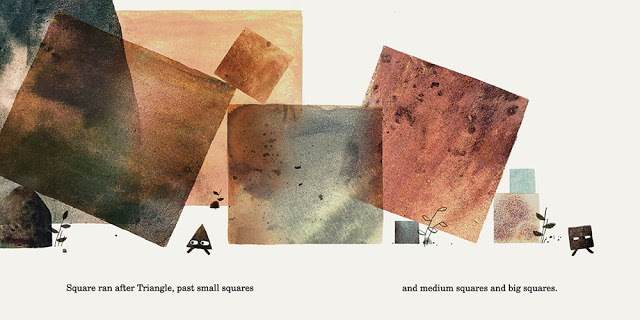 Triangle is probably the twentieth picture book I’ve written, and almost always it’s amplified, not diminished, by the art. If I finish a picture book manuscript and it makes sense without pictures, if I’m able to read it to kids and they can understand it, then I feel like I failed because it shouldn’t be a picture book. But as soon as I get sketches in, it's magic. Christian Robinson’s sketches are very loose. He does them on post-it notes so he has maximum flexibility to swap them around. 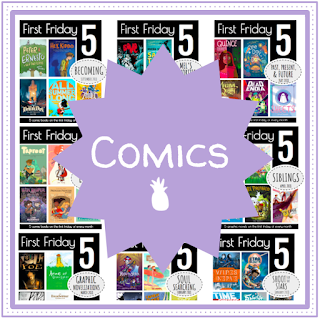 But as soon as I have those thumbnails on those post-it notes – when I read my text next to a post-it – the picture book magic starts to come to life. And of course Christian’s finishes are even more so. But really, as soon as you get that relationship between text and image, something crazy starts to happen. JK: I think making room for that, though, is really underrated. Mac understands that if he leaves enough room for an illustrator to come into it – which is what a lot of writers wouldn’t do, you want as much control as possible, right? – it actually works in the illustrator’s favor in terms of how the artwork gets judged. If they are in charge of telling part of the story, suddenly the focus of the audience isn’t on how good the illustration is, it’s been lifted and taken to “What is this illustration telling me?” Not “What style is it?”, “What colors did they use?”, or “How well is it drawn?”, but if it has its own job to do. Informational-wise, you’ve taken an illustrator off the hook in terms of their style and how good they are at drawing because they’re delivering information. Their job isn’t just to be pretty or handsome, it’s to be a storyteller. And so him leaving room for that protects him, too, really, because this book can’t help but be much better than if his text was telling the whole story because he then would be worried about the illustrator: what if he messed it up? But if there’s room for the illustrator to inform the audience and do some extra talking to them, then that illustrator’s variables are much less important and all of a sudden it’s up to them to tell a story and the style is secondary. LTPB: Which leads me to how you create your illustrations, Jon. JK: It varies a lot, especially on Mac’s books. That goes down to the trim size and everything else. You try to look at the thing and say, “Alright, what do these guys need to do? What does the book need to do? 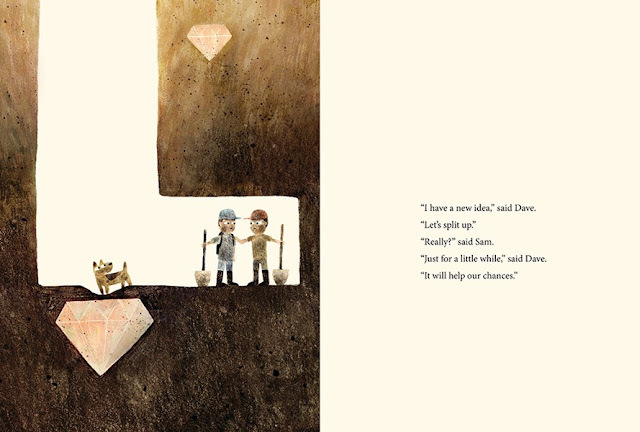 What does the place need to feel like?” I used colored pencils for Sam and Dave Dig a Hole because it was going to be a lot of dirt. And normally I use inks and paints that are wet, but if we used that for the dirt, it was going to look like they were digging in mud. Even though I like the look of that most of the time, it just wasn’t going to imply the right thing. I also like the idea of colored pencils because it gives it sort of a naïve look, and we had to sort of count on naïve ideas of physics on that one because the dirt was just evaporating. And if it was very realistic – which I’m not even capable of anyway – you’d wonder how they were doing this. But if it’s a naïve look you can get away with anything physically. So they can look simple, the holes can look simple, but they’re finding – or rather not finding – is rather simple. All of that is reduced down to the point where you can get away with a lot more story-wise and believability-wise. Triangle was made with a combination of colored pencil, gouache, and crayons, and other very simple things. And it was laid out a lot like how I think kids might draw the same kind of idea. Even in Sam and Dave we liken it to side-scroller video games, with characters walking out of a little castle, having something to do, getting to the next castle, and then running somewhere else. That idea of moving horizontally along a set bit of geography that you’re defining as you move through it. You don’t know what’s on the next screen until you get there, but now that it’s there, you know that if you went back it’d still be there. It’s about defining this world very simply and teaching the audience what to do and what they’re physically capable of, just like a video game would do. In order to play it you don’t have a tutorial saying how high a character can jump. You try it. It’s the same thing with this story. It’s the story telling us, “This character is capable of doing this and that,” so now what do we do with those capabilities that you’ve taught them? Triangle was meant to look like a video game but warmed up and hand-done. 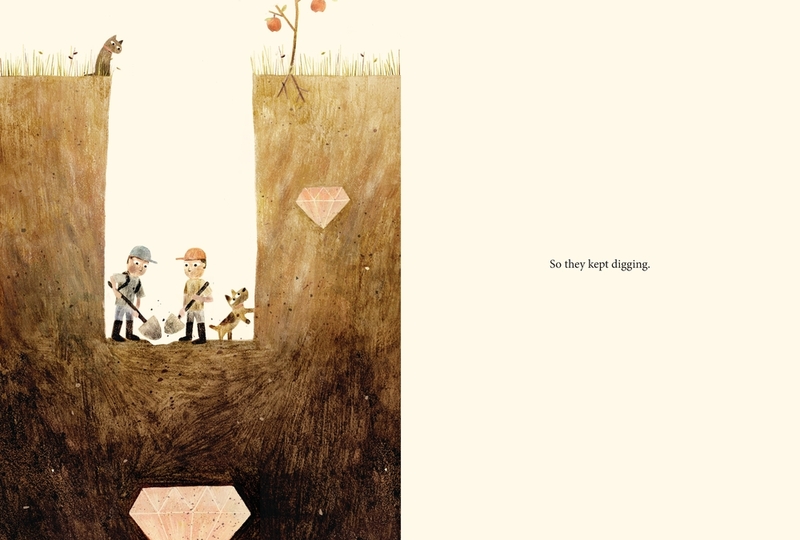 MB: When I first met Jon he was finishing up the art for his first picture book. I remember being at his house when he was doing the cover for the book Cat’s Night Out, and seeing him work on that. Before I met Jon, seeing his work in college, I’ve just always loved his work. He’s got such a voice, and it’s underpinned by things that you know that he believes. Just talking stylistically in his drawing, watching him push himself to new places, like the book jacket. Nothing is by default, and he’ll push himself to a new place each time. And it’s been very cool to watch. LTPB: How do you navigate moments where you have differing opinions? MB: I think we’re pretty good with it. JK: Yeah, we usually default to the other’s wisdom. I don’t think it’s ever come up that we’ve had really impassible feelings on one thing or the other, which is really lucky. Someday it will come up, and we’ll probably have to murder each other. It’s like of those married couples who has never fought. MB: Yeah… There are those things that will come up, and we’ll talk them out. JK: It’s not for lack of stubbornness on either of our parts. JK: And there’s an understanding, too, that neither of us is going to let it go until we like it. JK: There’s never a fear that we’re going to end up with a book that one of us doesn’t like because that’s not going to happen. 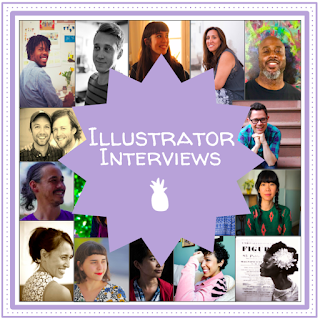 LTPB: Okay, my last question that I ask everyone who participates in this series is this: who you would choose to illustrate your picture book autobiography and why? MB: I’m going to let the illustrator go first! JK: Nooooo! That’s a hard question! MB: Does it have to be a living illustrator? LTPB: I’m going to put down Tomi for you, Mac. MB: That’s not my answer! JK: Okay, I think it would be someone older like William Steig. Charles Adams would be a good one, too. I don’t talk about him often because it’s just so far removed from anything I would try and attempt, but he was so great at staging very complicated things very simply. He’s just got this great warmth to so many of his drawings. And they’re so funny. He did the “Addams Family comics,” but he’s worth looking up as an illustrator in his own right. Look at them, and then look at them again to find out what he actually managed to establish. Like he would do some single panel ones, and the staging is so graceful and so clean that he’s actually set up and established and landed something very complicated, all in the same panel. And just his technique was beautiful. He was an amazing draftsman with a lot of heart. The reason why all those “Addams Family” comics were picked up and still maintain their popularity is that he just had a ton of heart in them. He was really good. So final answer is Steig, but if you need a second one it’s Adams. MB: Mine is easy! Because I’m not an illustrator, it just makes it easy. I’ll have Jon do it! MB: He’d know just what to do! Yeah! JK: Nooo. You can choose a dead one. MB: Alright, I’ll choose a dead one. Now I have to think again. JK: We can both have two answers. MB: I mean, if I got a second crack at it, it’d probably be another living one. Carson, I think. Carson Ellis. JK: Oh, that’s a good choice! I should have said Carson! Many, many thanks to Rachel Johnstone and Anna Gjesteby at Candlewick Press for setting up my chat with Jon and Mac, a special thank you to Brookline Booksmith for hosting the event (I'm telling you, this is one of the best bookstores in Boston! ), and of course a huge thank you to Mac and Jon for taking time to talk picture books with me. Triangle published from Candlewick Press in March 2017! TRIANGLE. Text copyright © 2017 by Mac Barnett. 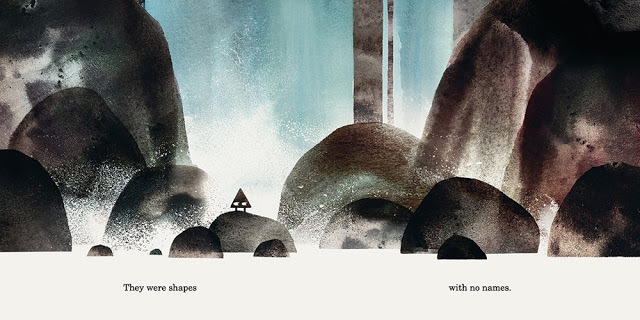 Illustrations copyright © 2017 by Jon Klassen. Reproduced by permission of the publisher, Candlewick Press, Somerville, MA.